2D is the traditional ultrasound method that has been used for years. 2D produces a flatter, two-dimensional, black and white image of your baby. You can see the bone of the baby highlighted in white. 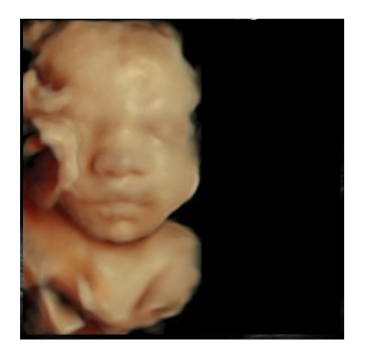 3D is an advanced method which captures a true, three-dimensional image of your baby, often allowing the ability to see specific facial features and well-defined formation. Baby will appear in a yellow/tan color. 4D creates a live video effect, like a movie — you can watch your baby smile or yawn! 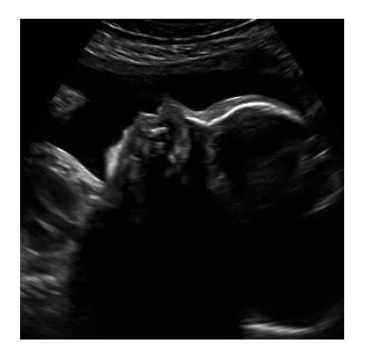 This ultrasound will show baby as if you are in the three dimensional image, but captures baby in action. is exciting new technology that lets you see your baby in realistic view or what many call the flesh tone look. This will show baby with reddish/pinkish color as if you are seeing baby inside the womb. enim. Additional CD - $10.00Small Heartbeat Animal - $25.00Large Heartbeat Animal - $35.00m. 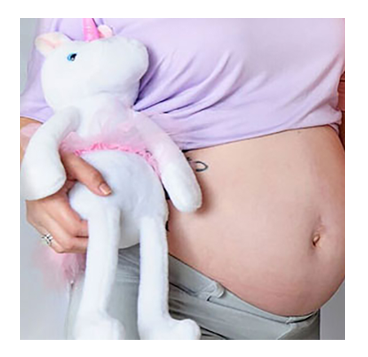 Give the Mom-to-be in your life a truly wonderful gift with gift certificate for a 2D/3D/4D ultrasound. 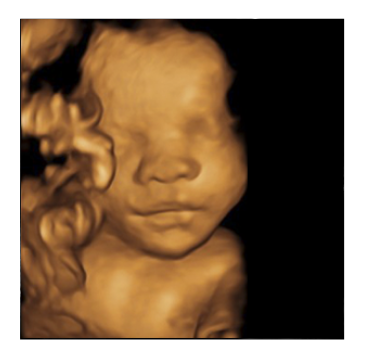 She will love the experience of seeing her son’s or daughter’s face for the first time!